The Panzer III Ausf N was an attempt to increase the potency of the tank by arming it with the 75mm KwK L/24 gun. This weapon fired an effective high-explosive round and an excellent shaped-charge that had better penetration than the long-barrelled KwK39 L/60 which it replaced. The initial order was for 450 tanks, but the troops at the front liked the Ausf N so much that Ausf M models were also equipped with the short-barrelled 75mm gun. 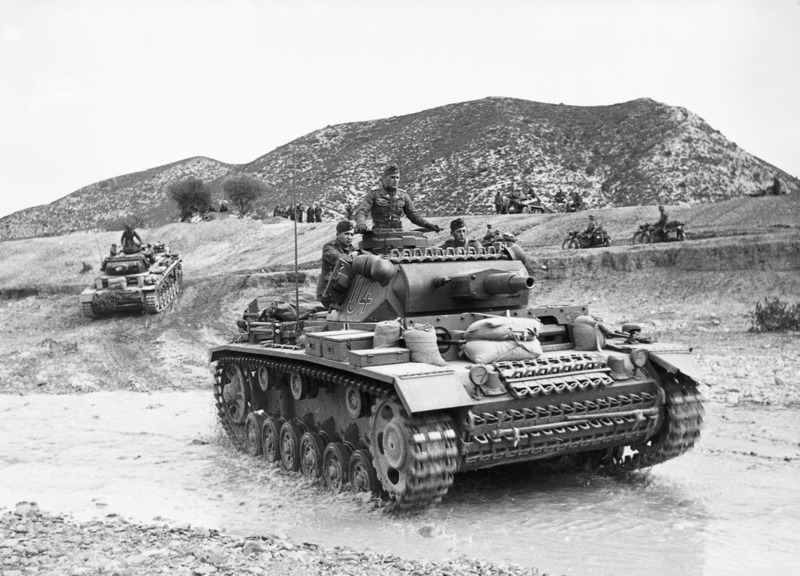 With additional Panzer IIIs being so armed, the total number of Ausf Ns was brought up to 700. The Ausf N was recognisable by its short-barrelled gun and the lack of spaced armour on the mantlet. Many of the later Ausf Ns were fitted with a new cupola with thicker armour and a single hatch in place of the earlier split-hatch design. Ausf Ns were also given side skirts for greater protection from March 1943. In the field the Ausf N was used to provide close support for the Tigers (each heavy tank company had 10 Ausf Ns to nine Tigers), as the smaller vehicle was more agile at close quarters, whereas the Tiger was rather slow and vulnerable. The Ausf N was also used in the panzer regiments of the panzer divisions. In mid-1943, during the Kursk Offensive, German panzer units were equipped with 155 Panzer III Ausf Ns.